As far as junk King is concerned, removing your unwanted items is in complicated. It doesn’t matter to them how heavy or bulky something is or whether or not it has to be carried up and down stairs. Using their focused on is to make sure you are satisfied and that everything you want gone is safely loaded onto the truck. You can see from these reviews that when it comes to professional junk hauling, the only call to make is to Junk King Sarasota. Are you ready to get rid of your junk? 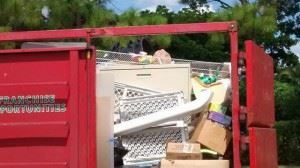 This entry was posted in Sarasota Junk Removal and tagged Junk King, junk removal, reviews on September 30, 2017 by Junk King. Last updated October 1, 2017 .